Are you looking for a cosy hideout, relaxed atmosphere with good food? That is what Finnish summer cottage, mökki, is all about! On average every fifth household in Finland has some kind of a summer cottage and now you have a chance the experience Finnish ”mökki” right here in the capital of Finland. 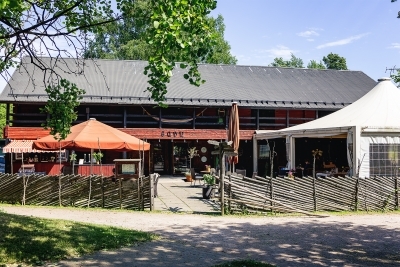 Restaurant Savu is located in an own peace in the middle of a small park surrounded by the sea but yet only a short walk away from the Helsinki city centre. Forget everyday worries and come to Savu to enjoy!